How many different ways can you remote in PowerShell? We are going to explore that question. This session will demonstrate the many different ways that you can remote to physical, and virtual machines on premise and in the cloud. You may be surprised at what you can do. Jason Yoder is a lifelong technology enthusiast, a Microsoft Certified Trainer, and a Chief Petty Officer in the United States Navy. Jason holds a Bachelor of Science in Computer Science degree as well as high level Microsoft certifications on all operating systems from Windows NT 4 to Windows Server 2012. Jason started his career in 1997 as the Technology Coordinator for a public system in Indiana. He then moved to a regional engineering company in Indianapolis and helped to take them to both a national, and international level. 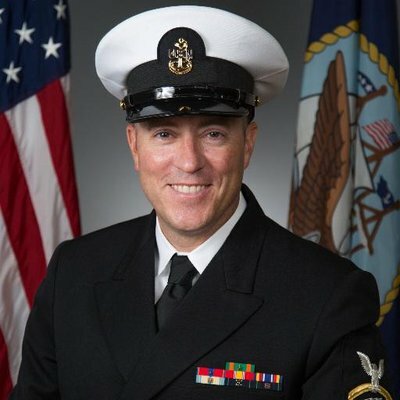 As a Chief Information System Technician in the United States Navy, Jason works to improve naval computer systems and to train junior Sailors to become IT Professionals. Jason specializes in delivering training for Windows PowerShell, Server, and Client. His clients span public, private, government, and military organizations and has delivered training in Europe, Asia, the Middle East and North America. He is also a technical reviewer for Microsoft’s official training on Windows PowerShell and the moderator for the Active Directory forums on PowerShell.com. Tuesday April 2nd, from 5:30 pm – 7 pm Arizona Time ( first 30 minutes reserved for speaker setup and for attendees to network). Speaker should start around 6 pm. This session is a chance for you to come and share some of your best time saving PowerShell Scripts. Find a script that you have used to benefit yourself / company or colleagues. Bring that script with you to share with others your experiences and be prepared to answer questions. Knowing that you helped someone with the work you did is always rewarding. A sandwich or pizza will be waiting for you. The best examples will get a little thank you (schwag) from our sponsor. Tuesday March 5th, from 5:30 pm – 7 pm Arizona Time ( first 30 minutes reserved for speaker setup and for attendees to network). Speaker should start around 6 pm. PowerShell Universal Dashboard In this session we will look at how to create dashboards, websites and REST APIs using PowerShell Universal Dashboard. First, we will walk through the basics of Universal Dashboard. This will involve topics such as how to get started creating basic dashboards and running a web server; right in the PowerShell console. Next, we will expose REST APIs through PowerShell script to host along side our dashboard and show how to consume it will other services. After creating a REST API, we will introduce a login page, add interactive controls to allow users to manipulate the dashboard to view data in new ways and expand our dashboard to multiple pages. Finally, we will look at how to host your dashboard in as a Windows service or in IIS. Adam Driscoll is a software architect, business owner and a Cloud and Datacenter MVP based out of Hailey, ID, USA. He develops and architects threat analytic solutions for STEALTHbits Technologies during the day and runs his own PowerShell tooling business by night. He is a published author, open-source contributor and speaker. Tuesday February 5th, from 5:30 pm – 7 pm Arizona Time ( first 30 minutes reserved for speaker setup and for attendees to network). Speaker should start around 6 pm. The PowerShell Integrated Scripting Environment (ISE) is unofficially deprecated, and Microsoft encourages us PowerShell scripters to adopt Visual Studio Code. Have you been resistant? In this session Microsoft MVP Tim Warner walks you through how to set up Visual Studio Code for PowerShell development. Lots and lots of productivity tips and tricks–be sure to attend! Tuesday January 8th, from 5:30 pm – 7 pm Arizona Time ( first 30 minutes reserved for speaker setup and for attendees to network). Speaker should start around 6 pm. Every time I’ve listened to him speak I’ve learned something new. Session will be December 4th 2018. Since he will be remote we’ll be doing this via live stream via hangouts. A practical session on how we can move our existing code to the Cloud. What can be re-used? Which code should we leave in our existing silos? These questions will be answered in this session focussed on what Serverless means for our PowerShell code. The approach we will take is as follows: we will take our existing code and transfer into Serverless code using Azure Functions; we evaluate changes or optimizations to take into account and how can we maximize the benefits of using Serverless. Tuesday September 4th, from 5:30 pm – 8 pm Arizona Time ( first 30 minutes reserved for speaker setup and for attendees to network). Speaker should start around 6 pm.